First, I want you to click on this link and read the instructions/description on that page. 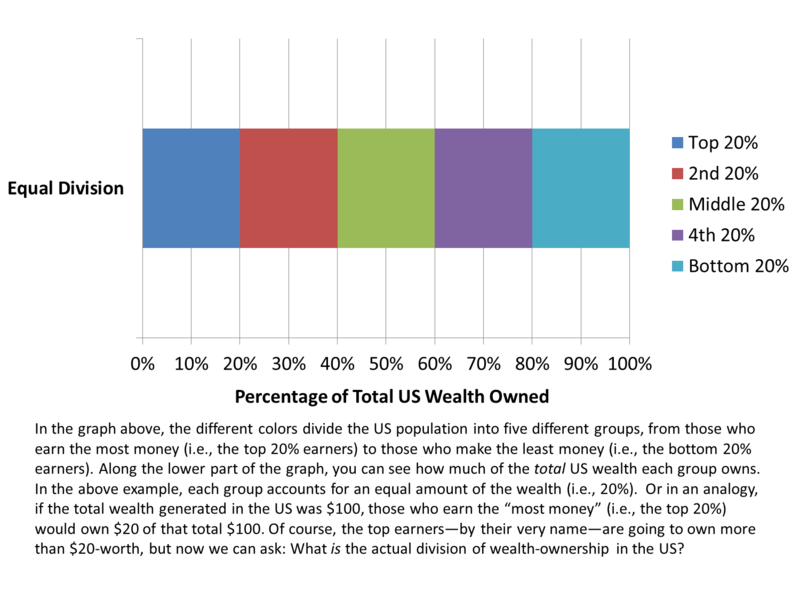 Once you’ve done that, I’d like you to actually ask yourself: How do you believe the wealth is currently divided in the US? 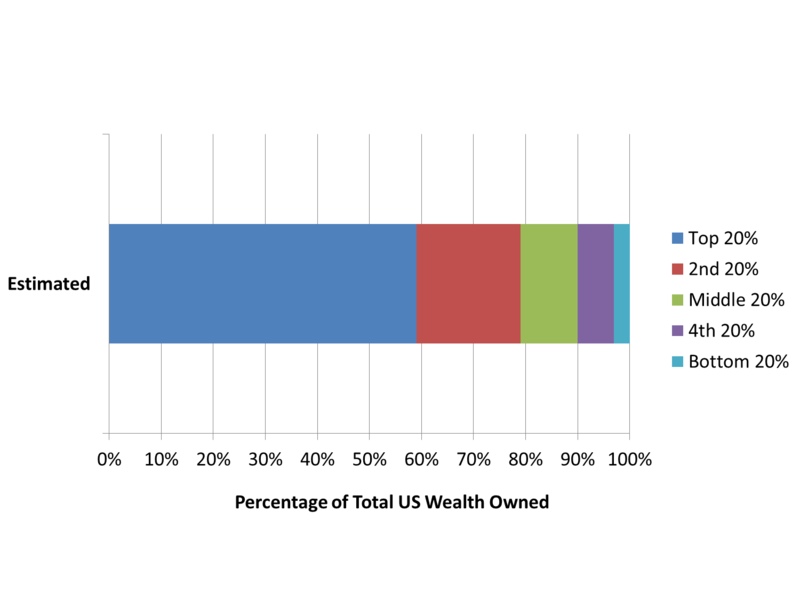 For example, of the top 20% earners, how much of the “total pie” do they own? Think about it for a moment, but likely, you pictured something close to the average American’s estimate here. 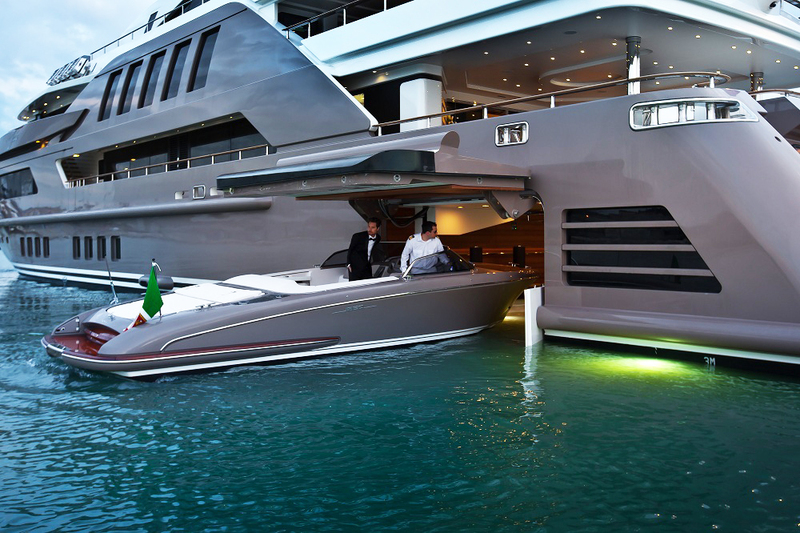 Okay, so you recognize some income inequality exists. But if you were made “Lord Emperor-Ruler of the U.S.,” how would you ideally divide up the wealth between people? Again, if you’re like most Americans, you would probably like to see the wealth in this country distributed more like this. But now…Let’s see what it actually looks like. 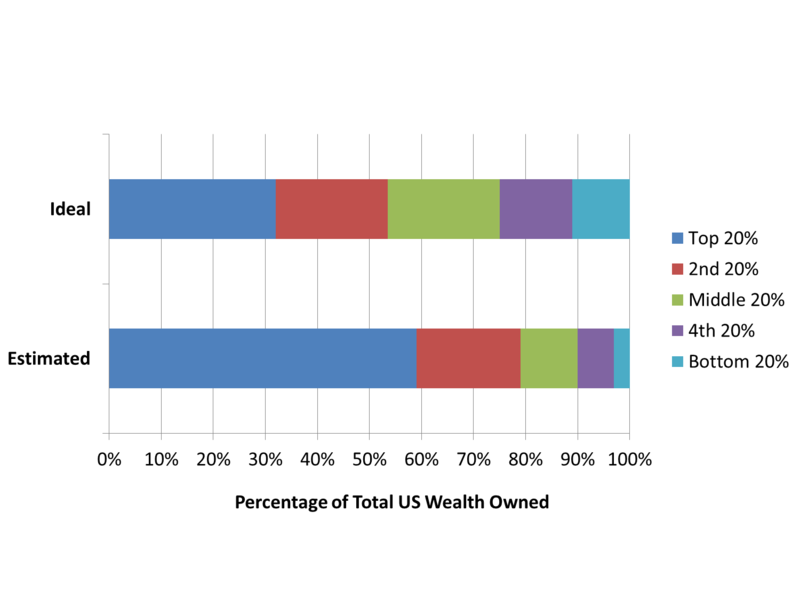 First, it’s remarkable how far off most Americans are (including myself) in estimating the actual distribution of wealth. A lot more balanced than it currently is. 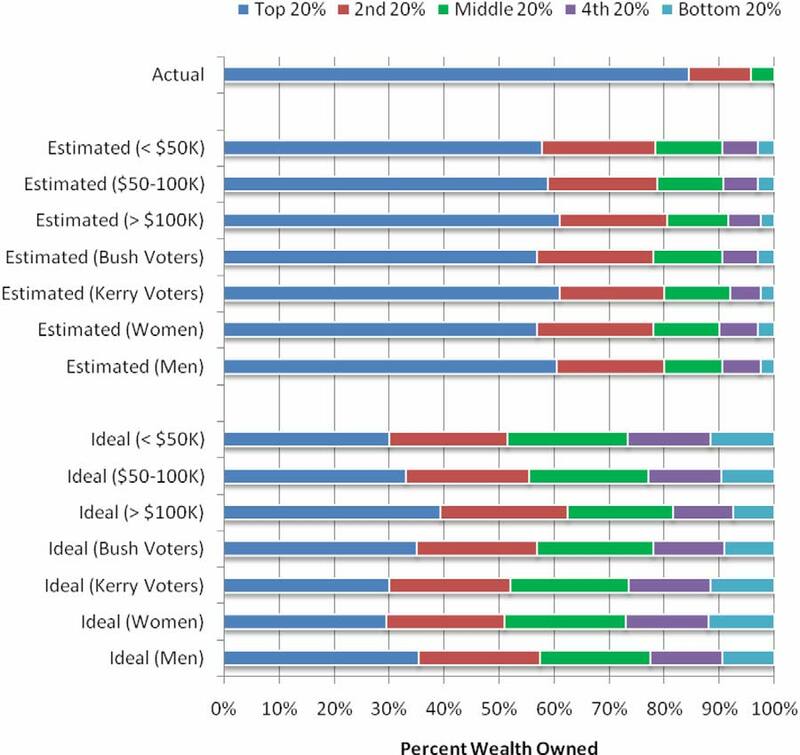 This graph shows the percentage growth in income for different wealth brackets over the past 30 years. However, the lines in this group are plotted along a different division of earners. 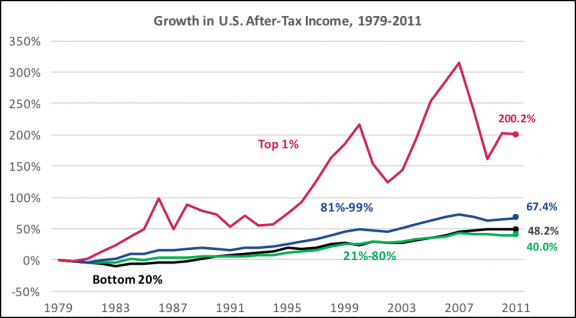 That is, the red line is those who make the top 1% of all money in the US, followed by the blue line which represent the next 20% of earners (the 81-99% of people) followed by the black line with the top 60% of earners (21-80%) and then finally with the lowest earners in the green line (the bottom 20%). As you can see in the graph to the right, these trends in income inequality have grown since 1980 to astounding rates in the current 2010’s. And although you may think that increases in income inequality aren’t really an issue—this is the land of America! the land of economic mobility—you’d be wrong. An economic analysis between 1940 to 2000 from the Federal Reserve Bank in Chicago revealed: “economic mobility fell sharply during the 1980s and failed to revert, perhaps even continued to decline, in the 1990s” (Aaronson & Mazumder, 2000, p.2). 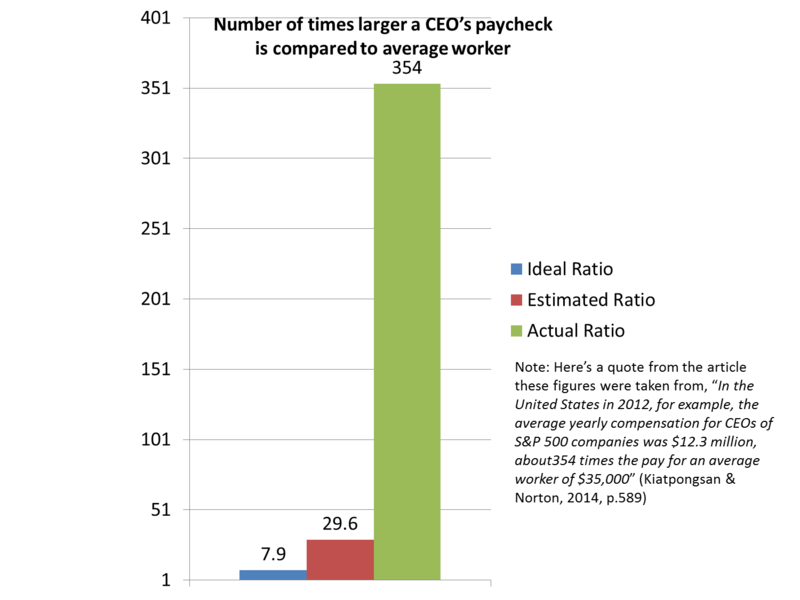 To provide some more concrete evidence for this, let’s consider the ratio of a CEO’s salary to that of the average employee in the company. 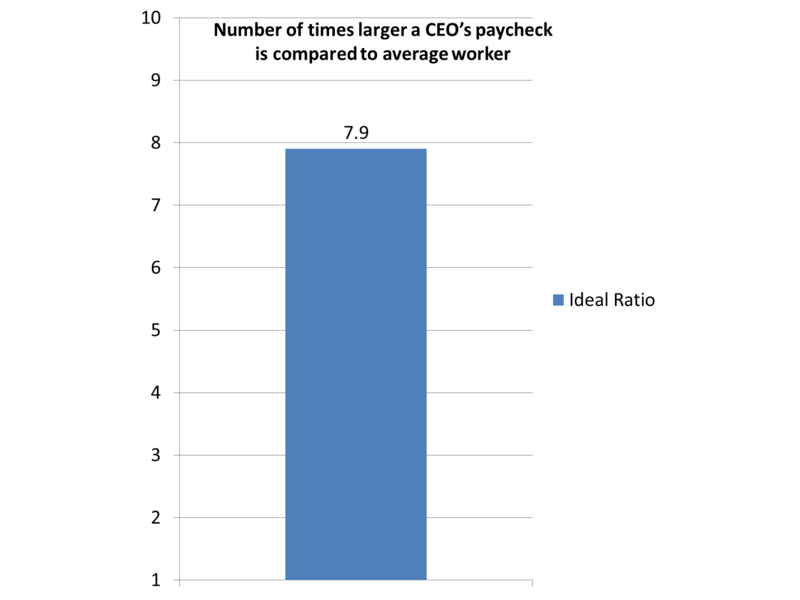 That is, if this “average worker’s” salary is X, how many times larger do you think a CEO’s salary should be? If you’re like most Americans, you probably wished it were around here, but if pressed to give the current estimate, you would probably say it was actually around here. But this is the actual figure. 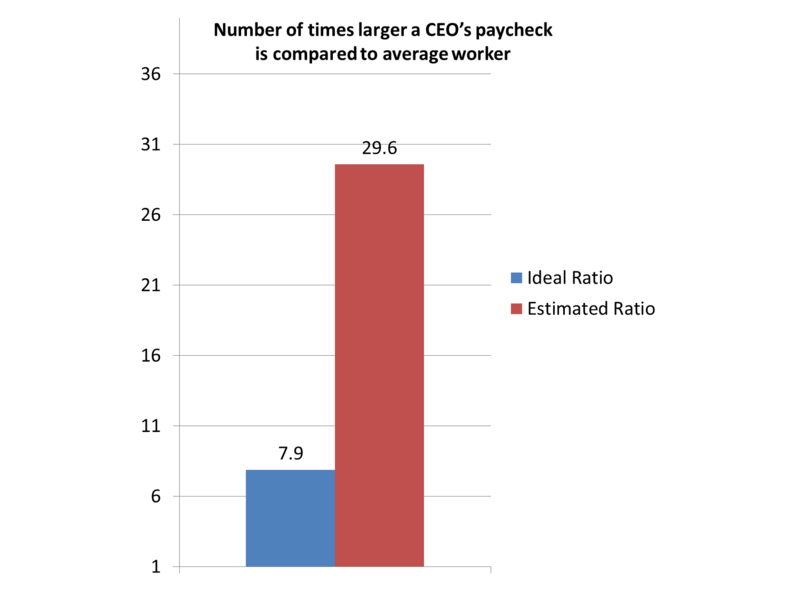 Now, there are a number of reasons that people aren’t currently in the street protesting such an unfair distribution of wealth (e.g., the CEO of CVS earns over 450x the average worker’s salary), but one of the primary reasons people aren’t more outraged about this is that they’re simply unaware of how grave the current inequality is. So, if we want to begin combating the problem, the responsibility is on you to help educate friends and family about the state of things. And simply sharing today’s post is a convenient first step. Psychophilosophy to Ponder: Here’s a quote from the opening to one of the articles I referenced today: “Wealth inequality in the United States is at historic highs, with some estimates suggesting that the top 1% of Americans hold nearly 50% of the wealth.” When the top earners control that much of the wealth, and we know how politicians respond to “campaign donations” compared to voters’ actual wishes, how do you think the extremely wealthy influence the policy making in this country today? Aaronson, D., & Mazumder, B. (2008). Intergenerational economic mobility in the United States, 1940 to 2000. Journal of Human Resources, 43(1), 139-172. Here’s an idea. 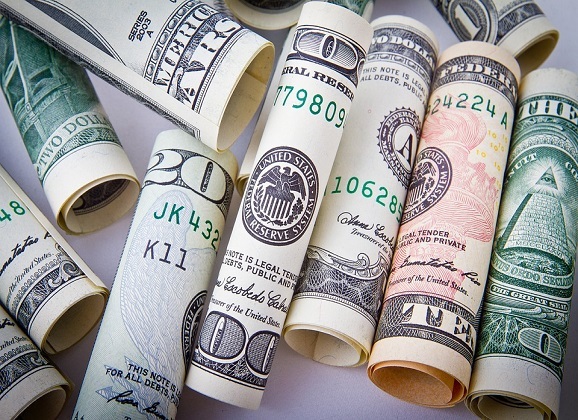 Get rid of money completely—the whole world over—and just trade things, resources, services, knowledge, etc., like we used to. Then everyone would, or could have both the chance and the access to be on an equal footing. I know, right?? A barter economy would definitely be preferred to the current system. Unfortunately, our societies are so complex with each person’s role/job so specialized, there’s simply no way we’d be able to revert back to the older, more communal economy. However, if you’re interested in this topic, the book Sapiens (which I’ve covered before on this site) has a great discussion on this very point you’re making.